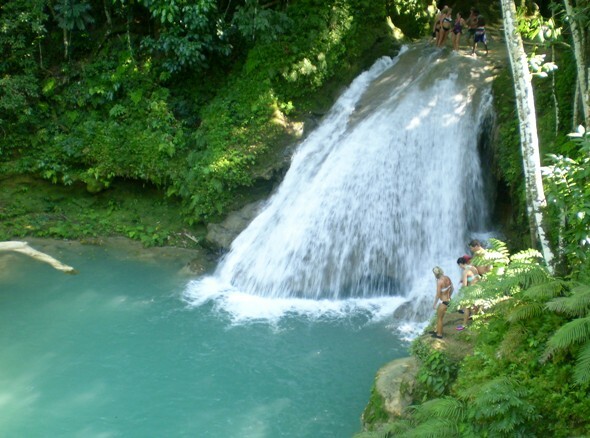 Explore the Natural Wonders of the Irie Blue Hole, also known as "Island Gully Falls", "Secret Falls" and "Blue Hole". 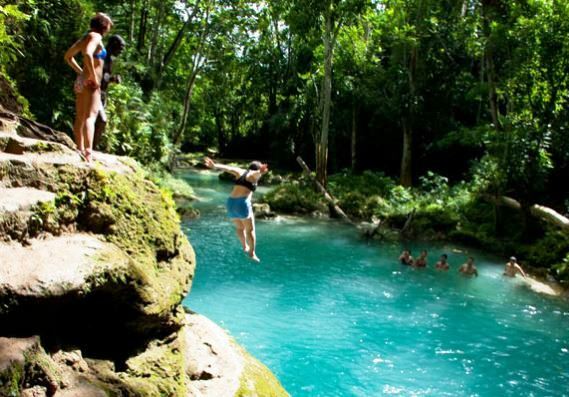 Rated the #1 attraction on TripAdvisor, the Irie Blue Hole is undoubtedly one of Jamaica's hidden treasures. Embark on a scenic & informative drive as your guide keeps you entertained. 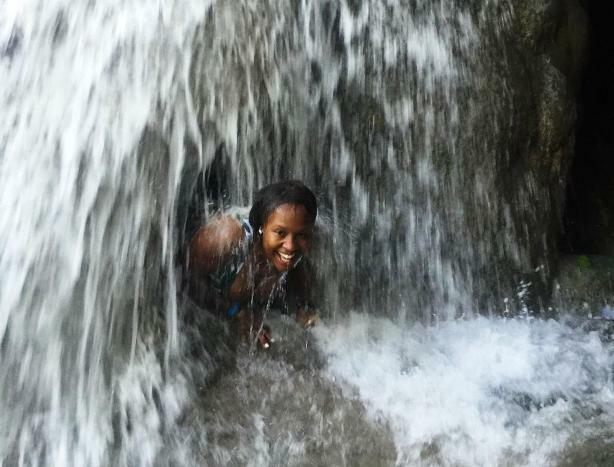 Explore the secluded and relatively untouched Island Gully falls. 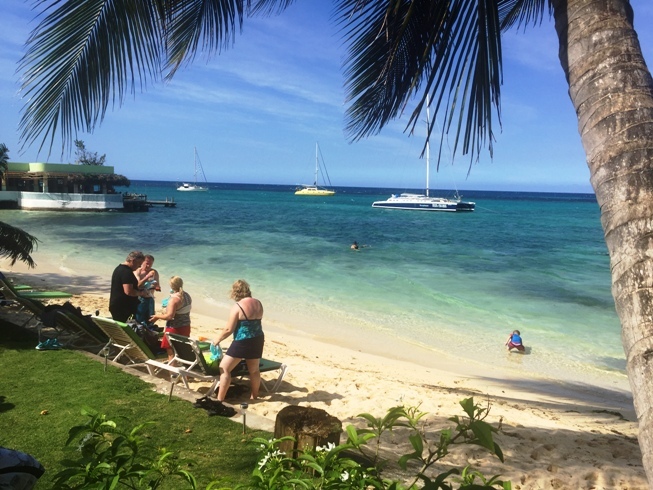 Swim in the pools, dive in the clear blue holes, swing on the Tarzan rope, explore small caves, cliff jump and more. 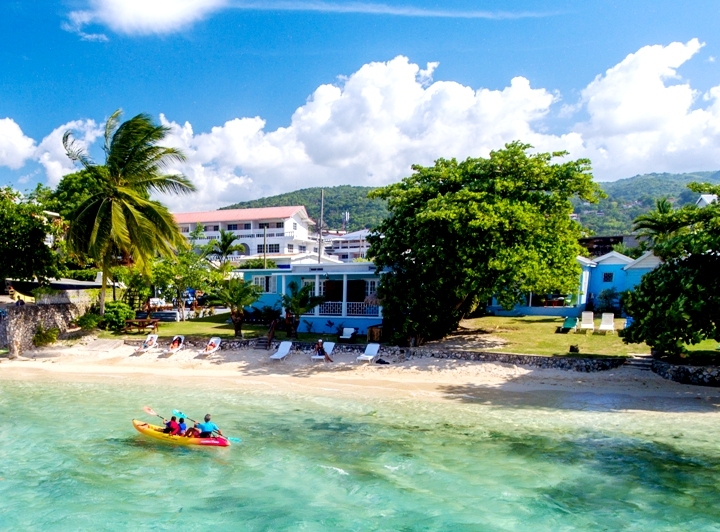 Observe the hustle and bustle of Jamaican’s as they go about their daily life’s on your drive to a pristine beach house surrounded by the best snorkeling spot in all of Ocho Rios. 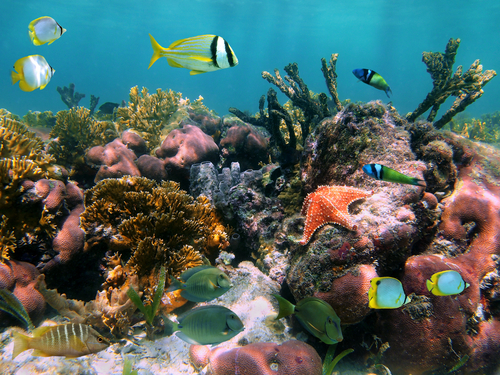 Grab some gear and snorkel the offshore coral reefs, enjoy a mouth watering Jamaican style beach lunch and lounge on a comfortable beach chair for the ultimate relaxing experience before returning to your cruise ship or hotel. 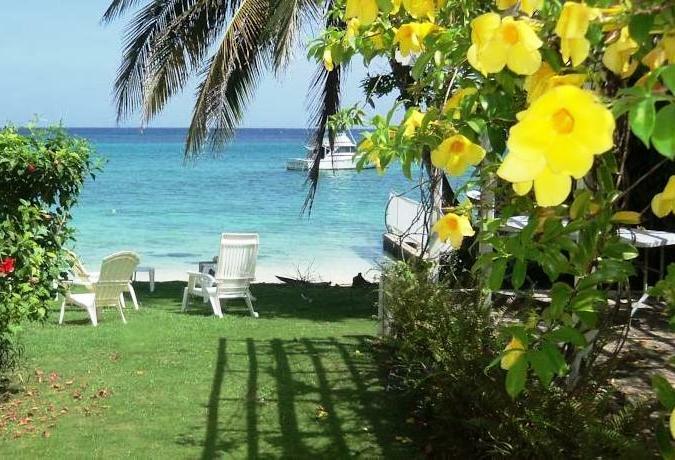 • Only a limited number of people are permitted (20 maximum) on Jaital’s exclusive Irie Blue Hole and Beach House Reef Snorkeling excursion. Book now to guarantee space! 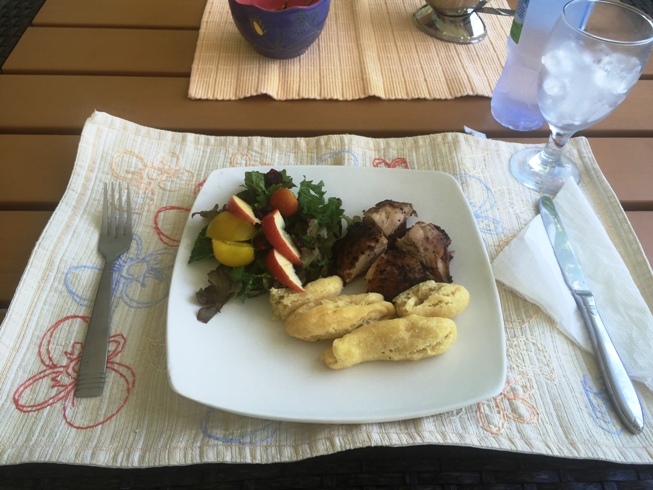 • Jamaican lunch and drink is included in this tour. 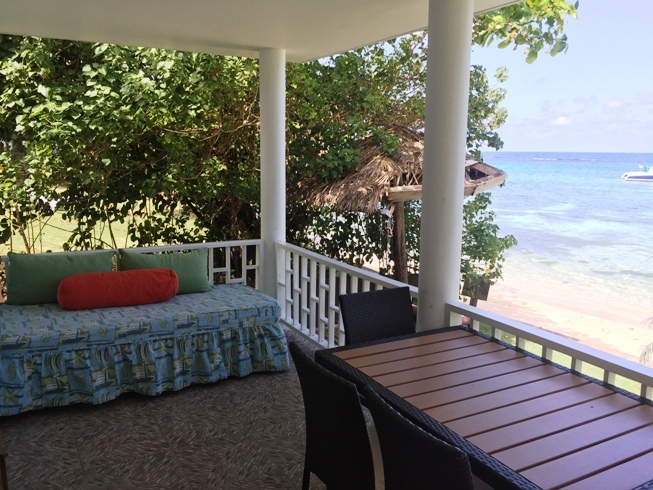 Outside food and drinks are not allowed on beach house property. It was a great excursion. The guides at the Blue Hole did a wonderful job, and assisted some older individuals on the tour really well. The Beach House was great too – we felt very welcomed. I believe there was an overbooking at the house which delayed lunch for a bit, but it was worth the wait – the food was delicious. Since you leave the ship early in the morning. Also, Davida did a great job managing a challenging situation with a scheduling issue. We were extremely happy with the tour. The hospitality at the Blue Hole and Beach House exceeded our expectations. Your whole team did a great job! 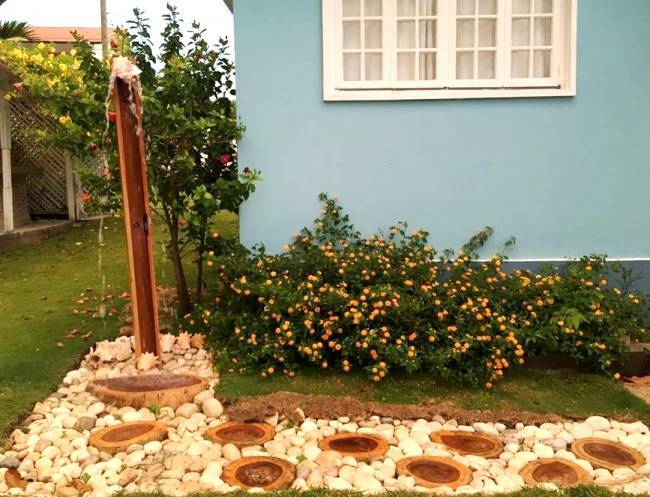 We are so pleased with our recent excursion with Jaital. We were cautious since it was the first time booking with this company. 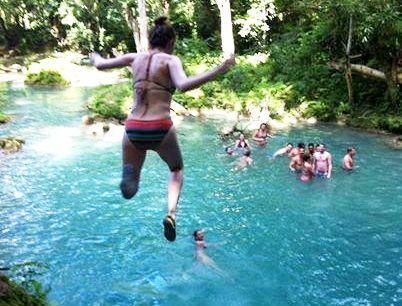 We had such a good time at the Irie Blue Hole. We had some younger kids in our group and the tour guides were great with them. They even did cliff jumps with them! We also had the best time at the Beach House. We had a group of 12 and we were the only ones there because it was a private beach. The lady at the house even fired up the outdoor fire pit and made jerk chicken while we played on the beach! This is one of our favorite memories from this trip. We will book again with Jaital! Our excursion was perfect . We were greeted by someone right as we got off the ship and they directed us to the blue roofed building . When we got there Davida greeted us and checked us in and explained what was going to happen . Our bus driver Ramin was very nice and made us feel safe going up to the blue hole . With a large group and a lot of kids ages 2-17 it was comforting to know that he was waiting for us when we were done at blue hole . He then drove us to the beach house were Davida was there to greet us and show us around . She stayed with us for the whole time we were at the beach house to make sure we had everything we needed . She took great care of us . Barbara who was the house care taker and cook . 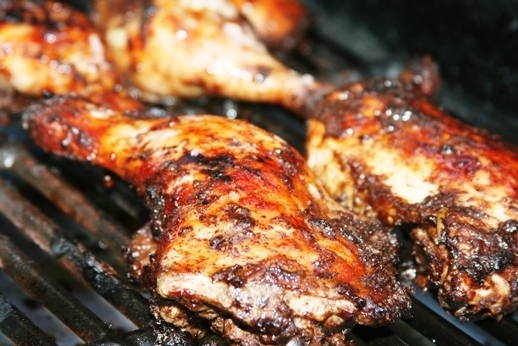 Was very friendly as well and cooked us up some fantastic jerk chicken . Davida communicated with us the whole time and helped coordinate what time we needed to leave the beach house to get a little shopping in before we had to be back on the ship . I would highly recommend your company and staff to people to use for excursions . They made sure we felt safe and relaxed the whole time . It was great . I also left a review on trip advisor with pictures . Next year we will be traveling on a cruise to Belize and I saw that your company is there as well we will definitely be using you . 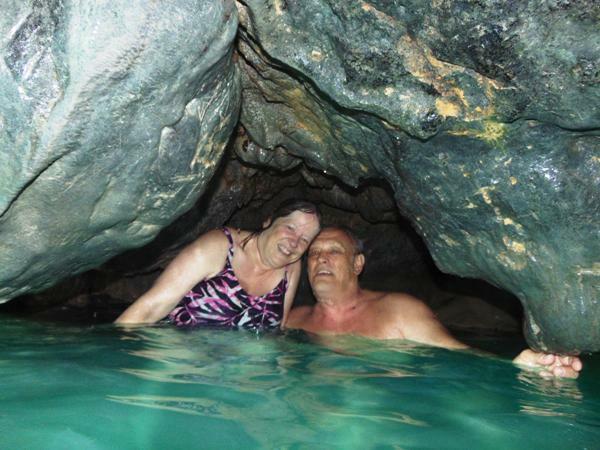 We are so happy that we booked a shore excursion through your company on the day our ship was docked in Ocho Rios. We were a party of four adults and we all agreed that the day we spent at the Blue Hole and the Beach House was one of the best days of our vacation. Your directions on how to find your representative as we exited the ship were very easy to follow. As soon as we found your representative, she called the driver, Orlando, to let him know we were there. Orlando took very good care of us. Orlando was an excellent guide and driver. His van was clean and we felt very safe as he drove us up the mountain to the Blue Hole. Once there, a guide from the Blue Hole took over and Orlando stayed with his van so we could leave our belongings behind with no worries. All we needed for the Blue hole were our bathing suits, water shoes and a smart phone for pictures. The Blue Hole was spectacular! We had never climbed up falls and jumped in beautiful, clean and very blue water before. Orlando got us to the Blue Hole early enough so that we were the first people there that day. It wasn't until we were leaving, that we saw other tour vans parking in the lot. We had the whole falls to ourselves during our assent and descent. It was a fabulous experience. We thought that would be the highlight of the day until we got to the Beach House. 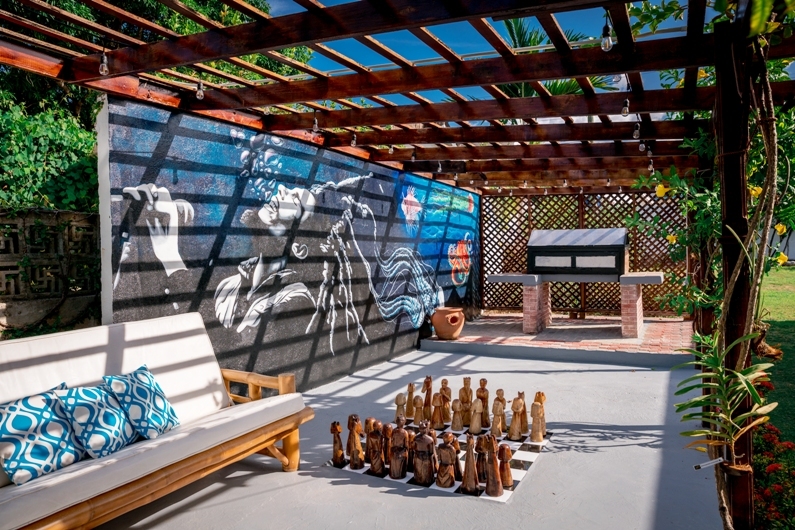 It is a lovely private home that sits right on the beach. As it turned out, we were the only people to book the house that day. 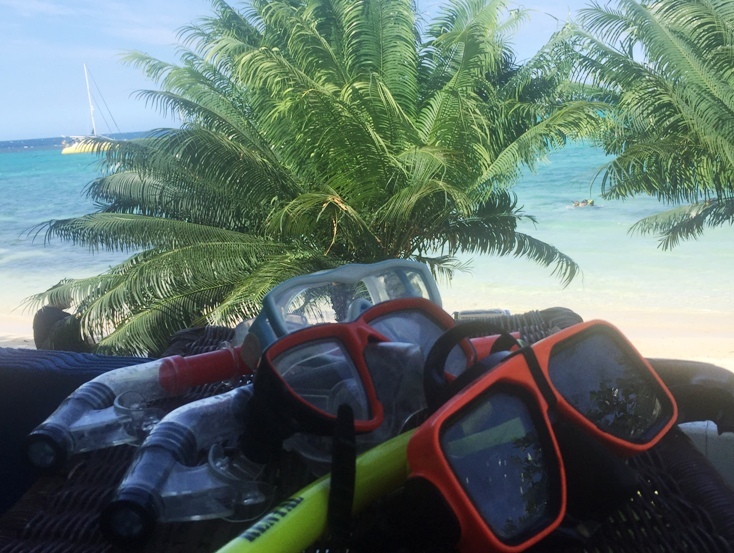 We swam in the beautiful, warm water and the husbands snorkeled for a couple of hours. We loved that there were lounge chairs in the sun and in the shade. Something for everyone. The home was clean and comfortable. 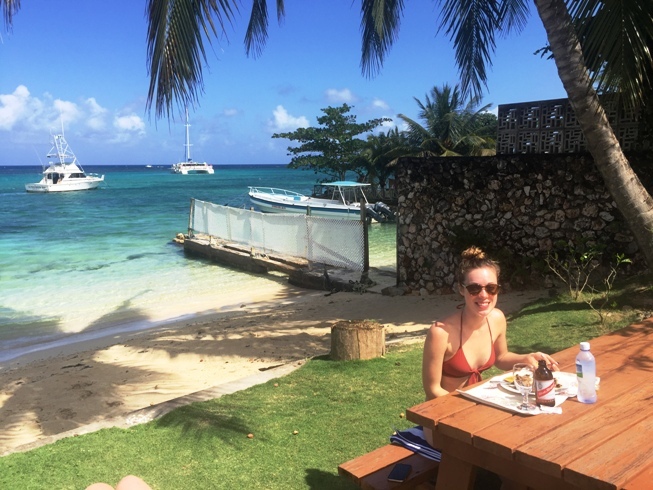 We loved eating the delicious jerk chicken lunch that Miss P cooked for us as we sat on the veranda overlooking the beach. We couldn't believe our good fortune in finding your company online and booking for the day. Our only regret was that we couldn't stay longer. Orlando arrived back at the Beach House to get us to our ship in plenty of time. When we showed our pictures of the Blue Hole and the Beach House to people, they were wishing they could have been with us. 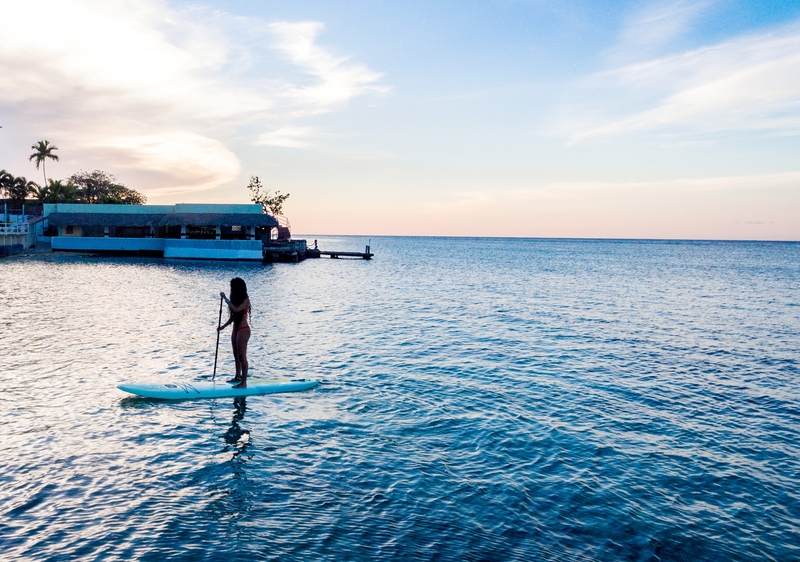 The next time we are on a Caribbean cruise, we will be checking your website to see if your company has shore excursions in the places we are visiting. My whole group (8 people) was so impressed by your services we will all use Jaital again in the future. Our drivers were Orlanda Hall & Sylvan (don't remember his last name). Both of these gentlemen were amazing! They were both ontime and knew exactly what activity was for that day. The drivers were always on time. They were safe on the road and polite and informitive. 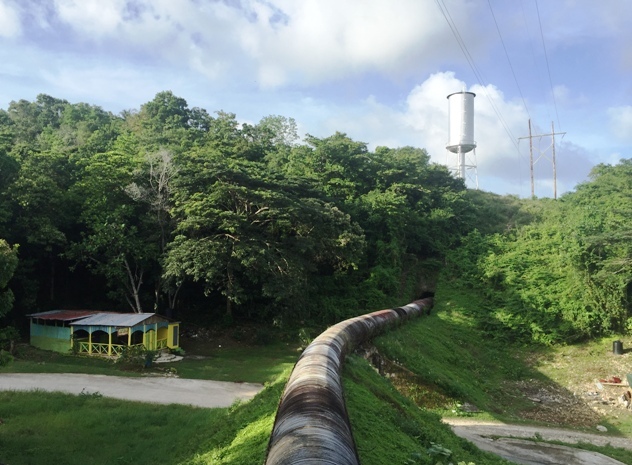 This was our first time to Jamaica and our drivers made us feel right at home. Payment was easy and accurate! Thank you again for running such a great service! We had a great time. Driver was amazing and very friendly. 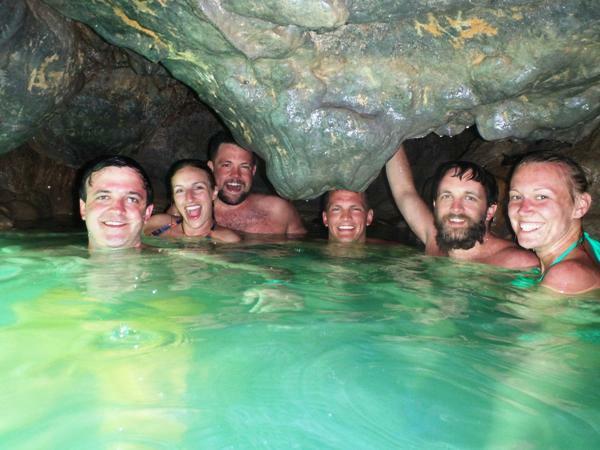 The Blue Hole and private guide was spot on. The Private beach house and beach was clean and a beautiful setting. Perfect day!! We had a fantastic time at the Blue Hole! Our driver was Silvan...I can not say enough GREAT things about him! This was our first experience using Jaital, so we did have some slight reservations. When we met Silvan, all those reservations were gone! He welcomed us like we were his family. If everyone in this world was as special of a guy as Silvan is, what a wonderful place it would be! He drove us to the Blue Hole and gave us info on the country as we rode along. He even stopped to get us some fresh apples and sugar cane that they people were selling on the street. He dropped us off at the Blue Hole and turned our service over to Mike. Now Mike was also incredible! He helped us beyond measure on all those waterfalls and jumps! The website was also a breeze to use. I had lots of questions before we left. The website responded to each of my questions usually within just a few hours! Absolutely AMAZING company! I will definitely use y'all again when we travel!! Thank each and every one of you! We would definitely book though Jaital in the future. We had a great experience at the blue hole and the beach house! We loved our tour guide Stacey! She was very knowledgeable and we learned a lot on the bus ride to the blue hole. We loved our tour guides at the blue hole- they were so helpful to help us get around the diff jump areas! Great job Stephan, Nicco and Nick! !We had a good experience at the beach house as well. The view was beautiful and have already told many friends that they need to do this excursion when they go on their cruises! We had a blast at the blue hole. The water was incredibly beautiful! 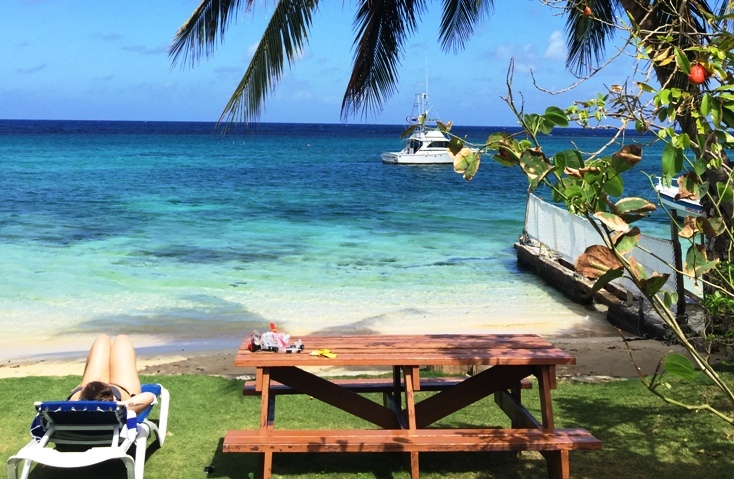 The beach house was nice too with nice snorkeling. Our day was well spent.